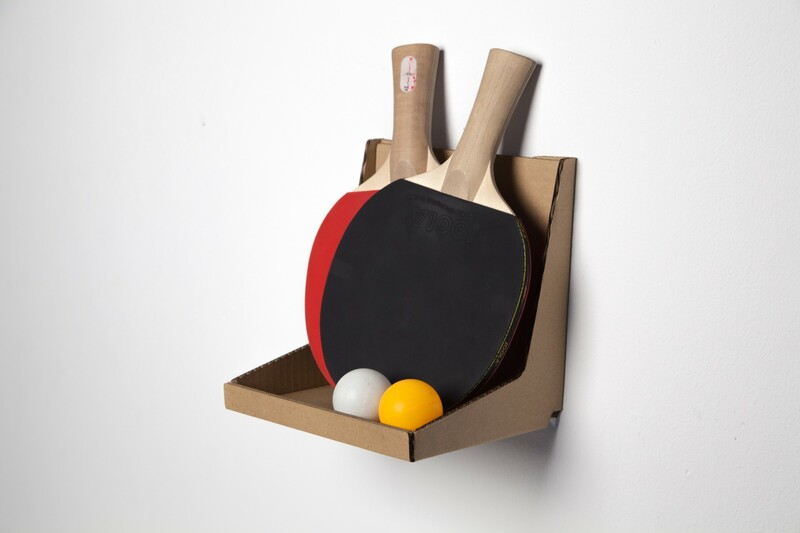 Transferring downforce into its surfaces the cardboard reaches an impressive strength and can be used to store a variety of everyday items. 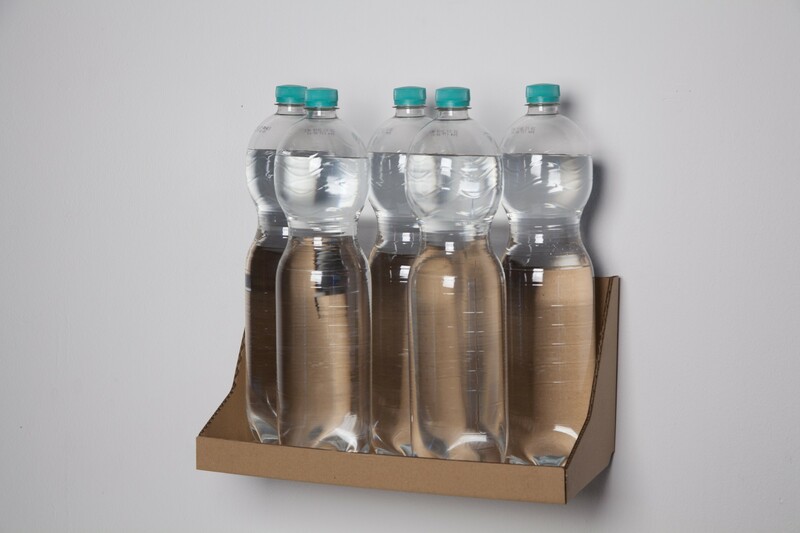 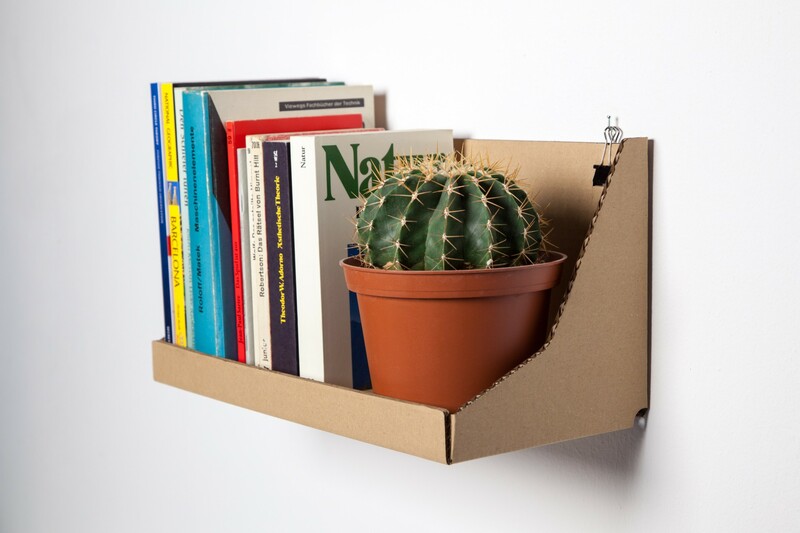 Cut out of recycled cardboard it is extremely cheap to produce and in addition has a minimal environmental impact compared to traditional shelves. 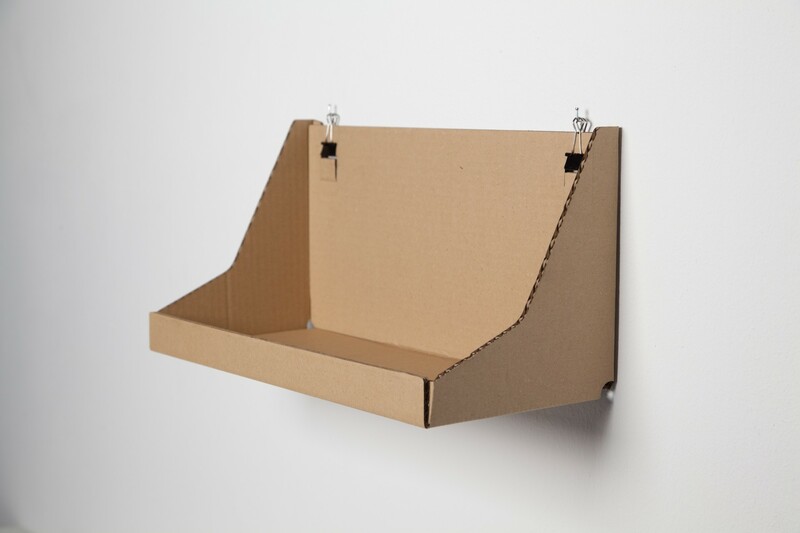 The shelf is shipped unfolded and utilises minimal space. 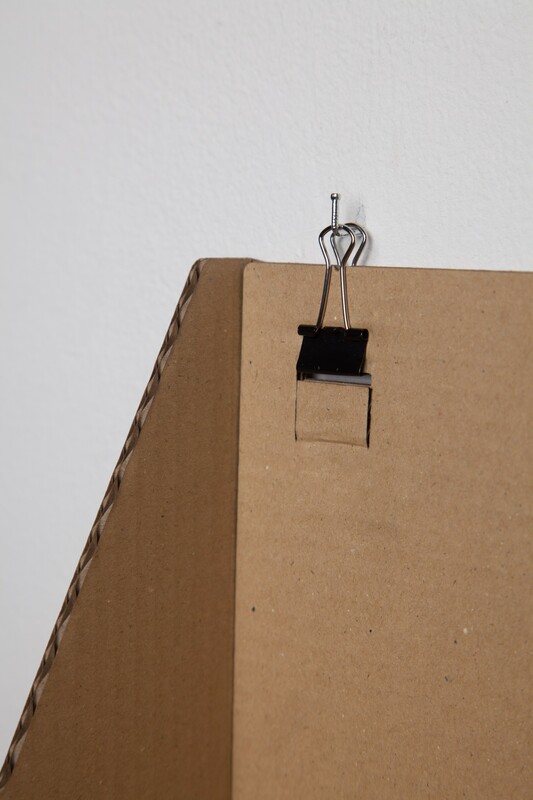 The user finishes assembly by folding the self-adhesive pre folded sites to the right place.